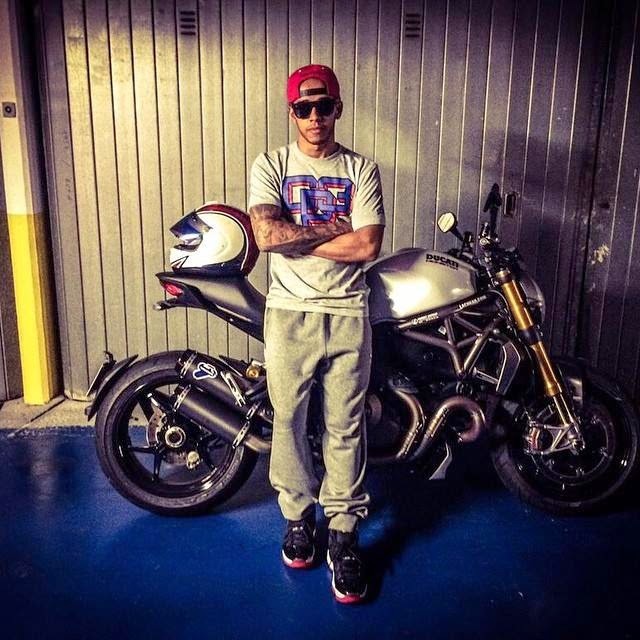 Lewis Hamilton put pictures of a couple of his toys out there. Two things are clear, they are nice toys and he really likes purple!. Above the interior of Lewis' one off manual gearbox Zonda LH which can occasionally be seen on the streets of Monaco. Like the outside, it's also very purple! He also got a new bike. Driving a purple Zonda around Monaco looks pretty stupid after Lewis complained earlier in the season that he deserves the championship more than Nico because of his less privileged childhood. Lewis and Nico could use a great bonding road trip like this !! Err, Hamilton has been in F1 for a while now. He is enjoying the fruits of his labor. Can't criticize a man for it. You're missing the point. 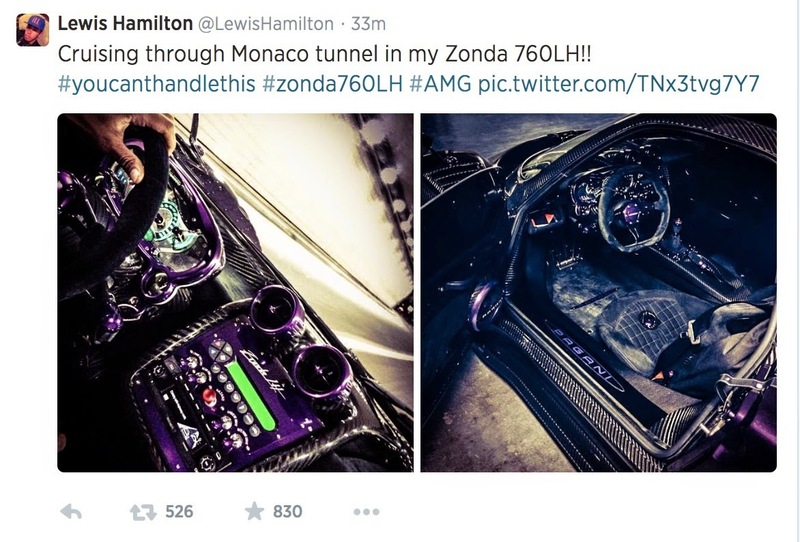 Hamilton leads an incredibly privileged lifestyle (purple Zonda /lives in Monaco/his own private jet) but uses his childhood financial struggles to argue that he is more deserving than other drivers. Hamilton is a great driver but his behavior outside of the car is tactless.